Last year, I was on my flight returning back from London, I was traveling with a mobility Industry practitioner. He has worked with really big firms from last 20 years helping enterprises adopt technologies. While we had a great good 8 hours of flight together, he highlighted something that I have been thinking a lot lately. Not only he thought mobile apps and performance were just about continuous delivery, he, in fact, couldn’t audit any mobile application that significantly improves the performance. When I landed in San Francisco, I reached out to more people and learned everyone had the similar assumptions. Code quality and basic architecture were the only things that people were talking about. 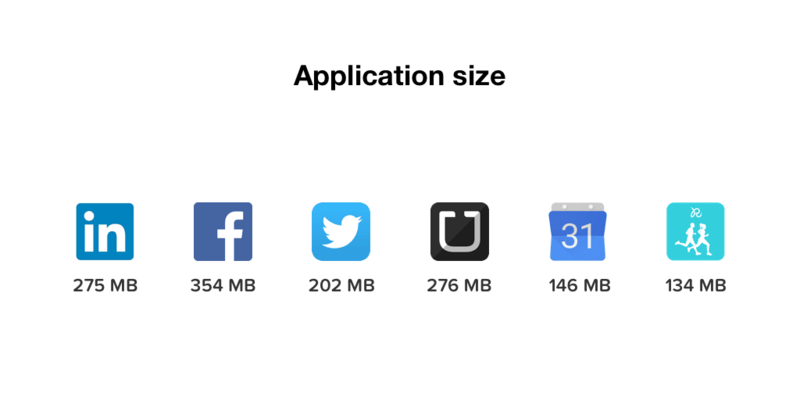 I immediately thought of how we approach building apps at Simform and saw some clearly outstanding practices that we follow to build benchmark breaking apps that scale to billions. Now, let’s see how you can optimize each of them to make your application faster in simple, easy to follow steps. Mobile phones aren’t powerful GPUs, yet! Also, do you know that most of the Android market share is consumed by low-end configuration mobile phones? Some of them don’t even support 2G or 3G, even downloading your huge application in a momental need would be a nightmare for the app’s users. The less your app consumes space on such constrained phones, the better. 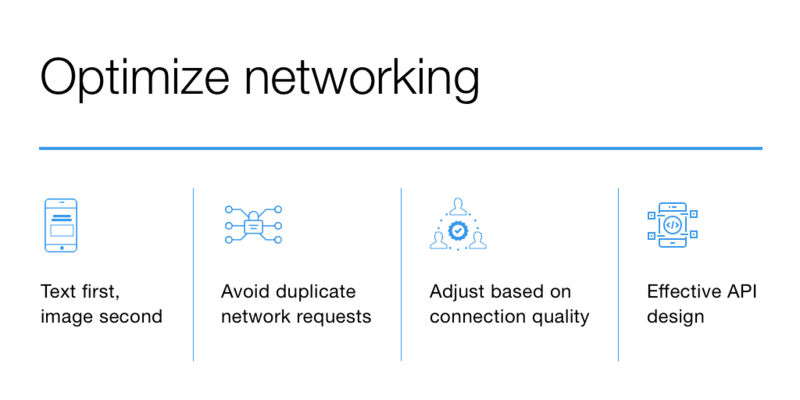 To optimize networking, try to load textual data first. Image based content present in your application can then be loaded as the second preference, asynchronously. Those who are familiar with Volley in Android will know a lot about this. When poorly implemented that android app using Volley can send two requests to the server at the same time, you might delete an item, it will get deleted, but your app would say, no such item exists. 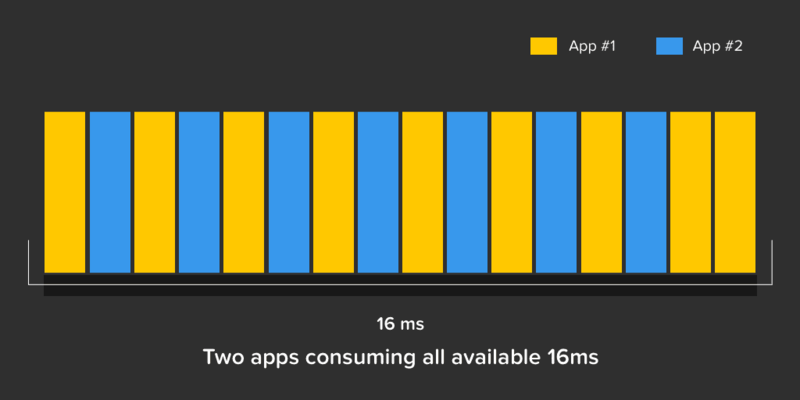 Not only just the functionality, but duplicated requests increase system congestion and decrease app’s performance, especially when you have a million app users. Imagine increasing the number of requests to your server increased by 2 folds when you are extremely desperate to optimize these costs. Think about an app that adjusts everything based upon the network quality available. Your app can change the content quality delivered based upon what network conditions a user is present in to make sure that the app’s usage doesn’t fall through. 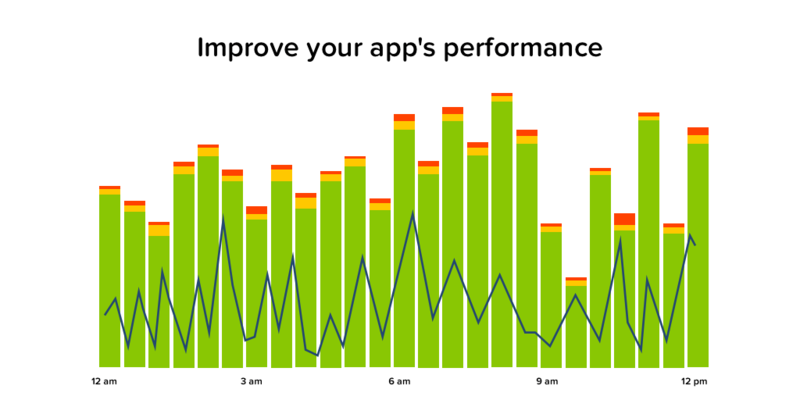 The way an API has been designed has a huge impact on how it impacts app’s performances. An incomplete or lazily designed API can be a burden on the mobile application. Workarounds on APIs usually put too much pressure on the network limitations. 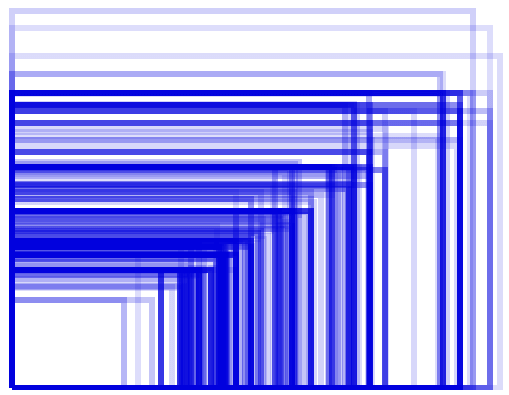 Consistency: The developer should know that expect, leaving no space for least astonishment. Starting from UI and going all the way to data can be one great way to design a consistent and complete API payload that improves your app’s performance. Just because you can send, don’t send everything from mobile to your API. Only send what’s required. If you don’t have a testing team at your disposal, try switching your phone into the airplane mode and test your app for offline performance. A lot has been spoken about the screen sizes, Android raises some really big concerns here as there are literally thousands of devices, each with their own resolution and screen size. Don’t have a 100’s of devices to test the screen size and resolution? Test with emulator configurations. In order to provide mobile users with the ability to multitask, Android sets limits to how much RAM is available to an application. These limits are not static and change as the mobile usage increases or decreases. Considering RAM limitations throughout app development, and apps that are running in the background can hog unnecessary resources. How fast does your app launches? 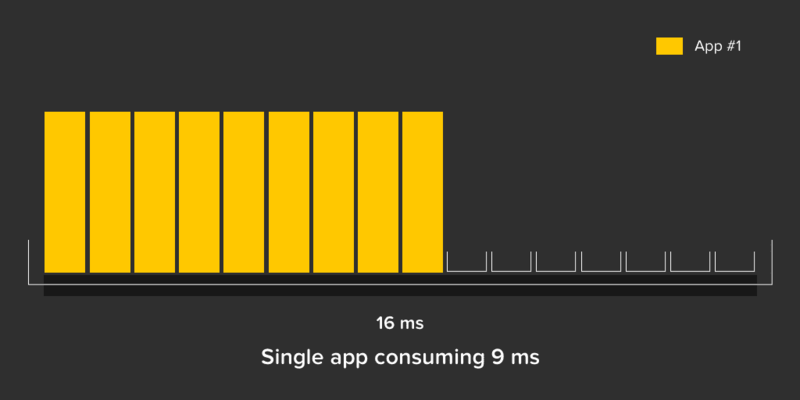 Do you know that for average top 25 apps on PlayStore, the launch time goes anywhere from 800ms to 4.5s. Now, 4.5s is way too much for most use cases. Bottom line, apps need to start quickly! Waking up mobile too often drastically decreases system performance. It also drains system resources. You can restrict the intents to which your app will respond. Not all Android users have the latest 2+GBs of RAM. When we look at the device available for Android, we see high division in terms of device capabilities. 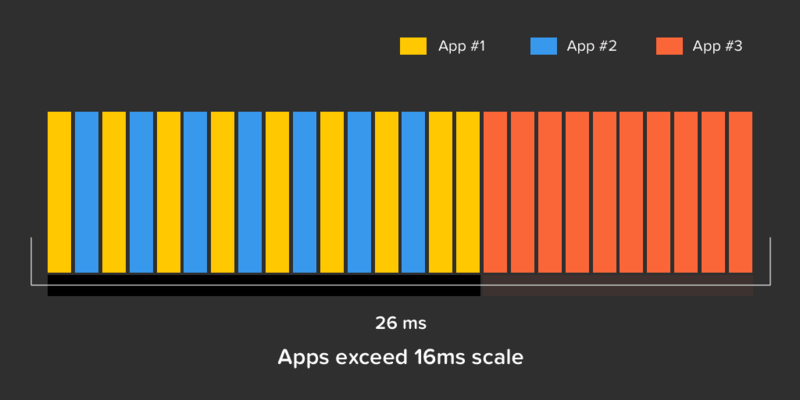 When most developers develop and optimize their app for performance, they make this one big mistake. They optimize the app for the wrong device, often for the high-end devices available for them. On both iOS and Android, when it comes to rendering animations and gestures the maximum frame rate is 60fps. Anything that goes below a 60fps usually will appear as a hiccup to your app’s user. In order to hit 16ms frame rate ( an equivalent of 60fps), everything within your app’s rendering code has to be executed within 16ms. This is where on Android you would start to notice how expensive a 5ms from a garbage collection becomes. Let’s evaluate how this will impact the end user. When you miss the 16ms limit, you often get a slightly lower frame rate ~ 59fps. No big deal here, right? What actually happens is that if your app misses the 16ms limit once, it is unable to use the window for one frame and now has to wait for the next one. Though your app only took 19ms to render, it actually missed the window, which will appear to the user that now it’s taking TWICE as long. You see! Right there, you just told a user that your app is super bad. App users often spend a lot of time setting up the application and make it work as they intend to on their phones. When they re-install an app, then most users expect their old settings to re-surface. It is very important to remove latency issues from your application. Latency is known to cause app errors and often crashes the entire application. Statistics have told us that if an app runs slowly, more than 50% users will uninstall your app within 24 hours. Now both apps combined as we can see are using 16ms that we have in order to render at 60fps. Let’s say now the user brings in another app rendering at 60fps, taking 10ms to get the work done. Now the combined total goes up to 9 + 7 + 10 = 26ms, which also means that the rendering of these apps are now as low as approx 40fps and not 60fps. Your app’s users will now notice stuttering. The situation is pretty much same for GPU and system memory. Remember that time when your app kept crashing? Well, let’s have a look at a scenario where you have one single app that’s running on the device. Now, let’s introduce another app into this scenario, we are still doing good and have some tiny memory left. Now, when we introduce another app into the picture, the system doesn’t have any other memory to allocate. It now will kill a process to free up resources. This is what makes application development so challenging (for those who actually care about it!). If someone can even follow 50% of these, they will observe a tremendous amount of difference in how their app will perform. If you liked this article, consider sharing it. Join 1,000+ Industry practitioners who get mobile engineering insights from us!